While I don't eat Lechon or Roasted Pork in English, I can vouch that Cebu is home to the best tasting lechon in the Philippines, that's what people are saying, that's what my family are saying, that's what most local tourists are saying. 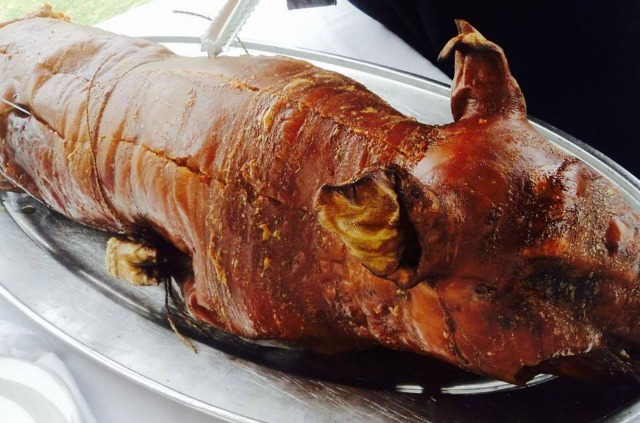 Lechon is served and is the most sought after viand during big occassions such as Reunion, Christmas Party, Birthday Party, Wedding, Baptism, or any other family or group gatherings. Lechon is best paired with puso during family outing especially at the beach. 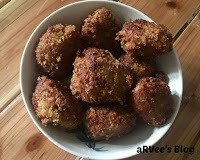 Puso or hanging rice in English is a cooked rice that is very common in Cebu, Philippines. 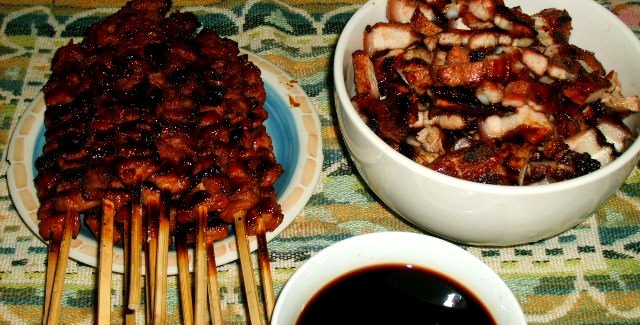 It is best paired with lechon (roasted pork), barbecue and tinap-anan (smoked fish). Puso is also best paired and best enjoyed when you have to eat it in any pungko-pungko stalls. Pungko-pungko is a Cebuano colloquial term referring to how the food is eaten, meaning we eat the food along the sidewalk in low lying benches and we get the viands in the basket with our hands (ask for plastic). 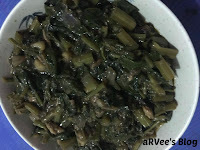 Ginabot (pork intestine) is a must try, it's the most popular viand among pungko-pungko food lovers. After you have eaten your food, you will then tell the food attendant how many viands and puso you have eaten. You can find pungko-pungko stalls anywhere in Cebu, some of the most popular places can be found beside University of the Visayas in Colon Street, University of Cebu in Sanciangko Street and the one that is at the back of Sampaguita Suites, back of Elegant Circle Inn, front of Apple Tree Suites Cebu or a walking distance from Fuente Oro Business Suites. Some of the places near pungko pungko area can be found under my Downtown and Uptown list on places to stay in Cebu. We call pungko-pungko here as mcdo (interchangeably), not as McDonalds but as a short cut for mak-duko-duko lol. Mak duko duko because when you eat your food, you need to bend quite a bit as benches are low lying lol. 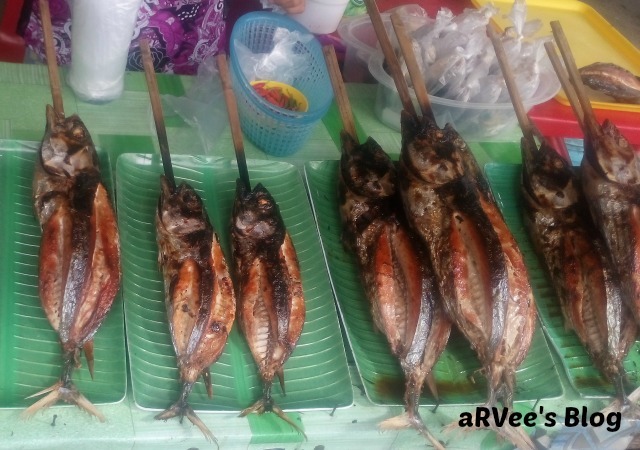 Another viand that is best served with puso is the barbecue or any grilled food. You can find them aplently in Larsian, a barbecue hub in Cebu City just beside Chong Hua Hospital. If you are anywhere in Cebu, you can find puso served in foodcourt inside the mall or in carenderia (small eatery) near you. 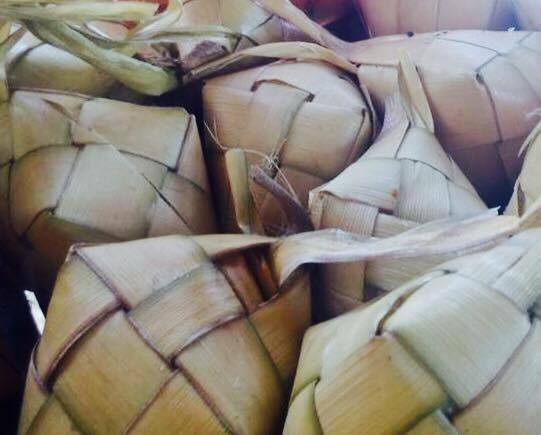 Tinap-anan is also perfectly paired with puso, you can find them in abundance along the streets near the Danao City Center. How about you, have you tried any of the above mentioned food items? Which one is your favorite?